On sale! 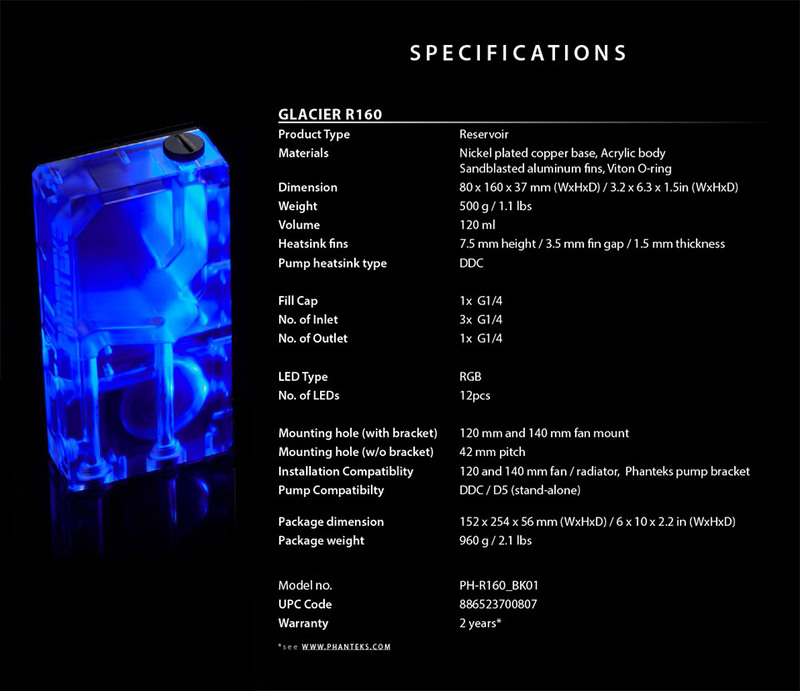 (normally $129) The Phanteks Glacier R160 features a unique inner tubing design with elegant aluminium fins for better thermal capacity. With a flexible fan mounting bracket included, the R160 makes fitting configuration easier and more straightforward. 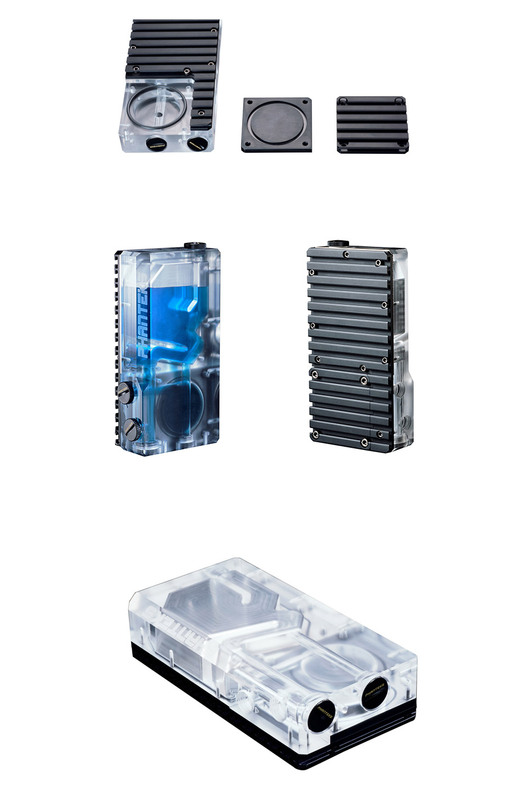 A built-in DDC pump mounting location allows the R160 to become a reservoir/pump combo without taking additional space. 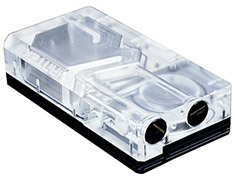 The included pump heatsink and reservoir heatsink helps to dissipate built-up heat from stored coolant.